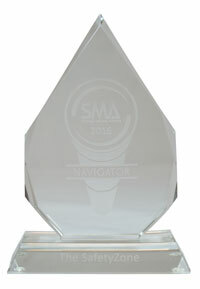 In June, 2016 The Strategic Market Alliance awarded The Safety Zone with the SMA Navigator Award. This award is given to the distributor with the largest percentage growth with SMA Member Distributors in the Commercial Wellness Segment. Navigator recognition from The Strategic Marketing Alliance acknowledges The Safety Zone’s shared unity of purpose in serving our mutual customers as well as the end-users, who put our products and services to use each and every day.